This Focal Geographic area includes coastal eastern Canada and the northeastern United States, starting with Newfoundland, the Gulf of St. Lawrence, and the Canadian Maritimes, extending down through New England and coastal New York to the border between New York and New Jersey. 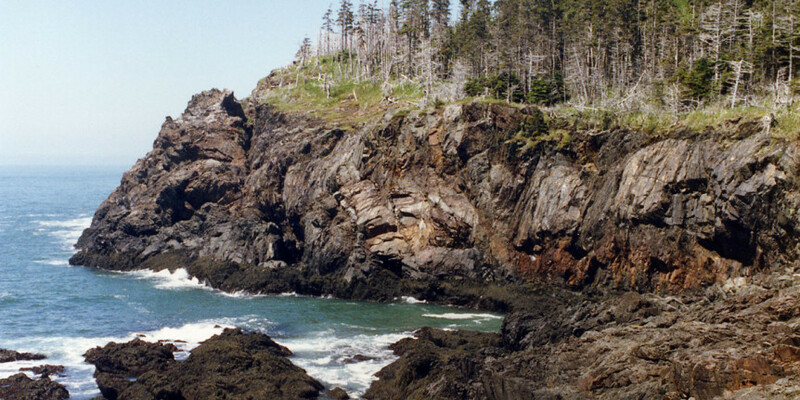 Vegetation in this area includes boreal and temperate forests, fresh water marsh and coastal saltmarshes, tidal river deltas, coastal shrub-scrub, un-vegetated rocky coasts, open beaches and grass covered dunes. This area of the Atlantic Flyway is important to beach-nesting Focal Species including American Oystercatchers, and is particularly critical to Piping Plovers, supporting the majority of the Atlantic Flyway nesting population of the species. The region is one of the most heavily human-dominated areas of the entire Atlantic Flyway, with a long history of coastal landscape manipulation, land alteration and wetland destruction. The region remains an important staging and fly-through zone for shorebirds during southbound migration. Arctic- and Boreal-nesting species, including the Red Knot, Red-necked Phalarope, Semipalmated Sandpiper, and Whimbrel, and American Golden-Plover begin to arrive as early as late June before continuing south out over the Atlantic or along the coast. At least two shorebird species from the focal list are found wintering in this area in important numbers, the Sanderling, and most significantly Purple Sandpiper. The rocky coasts of eastern coastal Canada and Maine support most of the Atlantic Flyway Purple Sandpiper wintering population. Threats to shorebirds in Atlantic Canada and the Northeastern U.S. include commercial, industrial, and residential development; incompatible coastal engineering; human disturbance; pollution; predation of eggs, chicks, and adults from elevated numbers of native, non-native, and domestic predators; incompatible management practices; and, unregulated intertidal aquaculture practices.